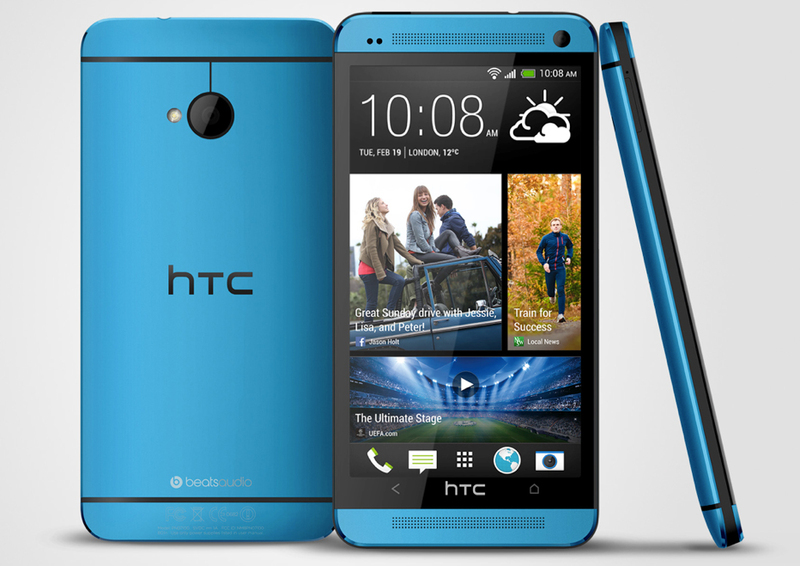 After a couple of weeks of quick glimpses, followed by rumors of carrier exclusivity, the HTC One in “Vivid Blue” is now official. As you can see from the pictures, it’s certainly pretty, assuming the device can hold onto that color and not chip or scuff easily. The One Mini will also see a variant in this color. Both will be available in Q4, though no specific carriers have been mentioned at this time. No pricing was given for the BoomBass, but it will be available in the HTC accessory store from mid-October. HTC announced a couple of mid-range devices as well, both of which will likely stay overseas. Taipei, Taiwan, 3 September 2013 – HTC, a global leader in mobile innovation and design, today announced the addition of the HTC Desire 601 and HTC Desire 300, to its popular smartphone family enabling consumers to enjoy a premium experience at any price point. Changing the face of the mid-range, the HTC Desire 601 introduces 4G LTE speeds and innovative features from the flagship One family, including HTC Zoe™ with Video Highlights and HTC BoomSound. Setting a new standard for entry-level smartphones, the HTC Desire 300 offers a powerful, large-screen browsing experience and HTC BlinkFeed™. Video Highlights takes the camera experience to the next level by creating highlight reels displayed on the HTC Desire’s 601’s 4.5″ qHD screen. Accompanied by a range of pre-set themes for a more personal memory, these stunning 30-second video montages are simple to create and instantly sharable. The HTC Desire 601 combines a Qualcomm® Snapdragon™ 400, dual-core, 1.4GHz processor and 4G LTE connectivity to enable superfast HD video and music streaming with no compromise on quality. Changing the way you experience media on the go, dual, front-facing HTC BoomSound speakers join with the large screen to create a completely immersive audiovisual experience. Delivering richer, sharper tones, the raw power of the speakers lets you take the “big screen, big sound” home entertainment experience with you, wherever you go. In the HTC One, HTC redefined the smartphone sound experience with HTC BoomSound and has now raised the bar again with the introduction of a new accessory for the HTC One family. HTC BoomBass, a compact, Bluetooth-enabled subwoofer with a dedicated amplifier, provides clearer, more powerful bass when combined with the HTC Onefamily’s BoomSound. The subwoofer enables HTC BoomSound’s speakers to produce enhanced quality of lower range frequencies so, no matter what music you’re playing or video you’re watching, you are guaranteed immense and exceptional sound that can travel with you. Founded in 1997, HTC Founded in 1997, HTC Corp. (HTC) is the creator of many award-winning mobile devices and industry firsts. By putting people at the center of everything it does, HTC pushes the boundaries of design and technology to create innovative and personal experiences for consumers around the globe. HTC’s portfolio includes smartphones and tablets powered by the HTC Sense® user experience. HTC is listed on the Taiwan Stock Exchange (TWSE: 2498). For more information, please visit www.htc.com.